For more than 50 years, NVDA has been dedicated to helping businesses succeed. 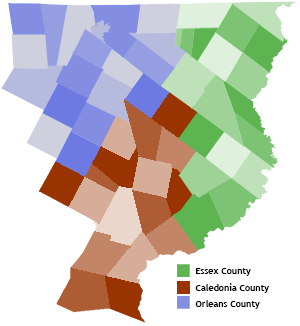 NVDA provides essential planning services for all of our member communities, covering both the small projects and those that span the entire tri-county area. NVDA works to assist our region with planning studies that focus on the safety of the travelling public. 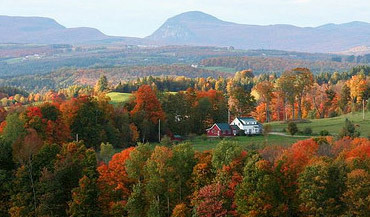 NVDA serves the 55 municipalities in this northeastern corner of Vermont as the Regional Planning Commission. We assist with regional and municipal land use and Transportation Planning. NVDA also serves the businesses in the Kingdom and encourages sustainable economic growth as the Regional Economic Development Corporation. We encourage you to discover the rich traditions and natural wonders enjoyed in these three counties of Caledonia, Essex and Orleans. As the Regional Planning Commission, NVDA assists municipalities, organizations, committees and individuals with a wide variety of planning and technical services. As the Regional Development Corporation, NVDA works on infrastructure improvements, assists companies relocating to the area, helps existing businesses to grow, and administers revolving loan funds. The consortium website https://www.collegecentral.com/vsc makes it free and easy to post any number of jobs at no cost, while directly targeting your job opportunities to job seekers who are registered with the member schools: Northern Vermont University, Castleton University, Community College of VT, and Vermont Technical College. Tap into the talent pipeline of emerging talent. The SBA Learning Center offers a variety of online business courses. What sets your business apart from your competition? Take this free self-paced training course online to learn how to brand, study your competition, and identify new customers. Start the course! Please join the Vermont PTAC for a free workshop on the HUBZone certification program in Vermont. A Small Business Administration (SBA) specialist will be on-site to answer your questions and free one-on-one meetings with a PTAC counselor are available immediately following the presentation to begin work on your application.